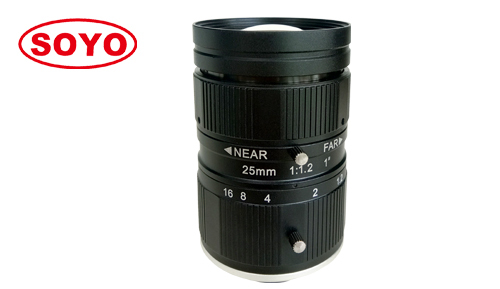 We are launching new 1" 10 megapixel machine vision FA lenses to the market right now, with focal length covering from 8mm, 12mm, 16mm, 25mm, 35mm, 50mm. The megapixel lenses distortion is low, and biggest advantage is very big aperture F1.2 or F1.3 etc. which help make imaging better and sharp. Welcome your inquiry for our machine vision lenses, FA lenses etc. PRE：أطلقت عدسة جديدة المدمجة 10M 2/3 "